The best online bedding purchase I've made. Great quality, and gorgeous color. Perfect for layering. Beautiful bedding can instantly transform your restful retreat - and this eye-catching quilt set is a charming choice! 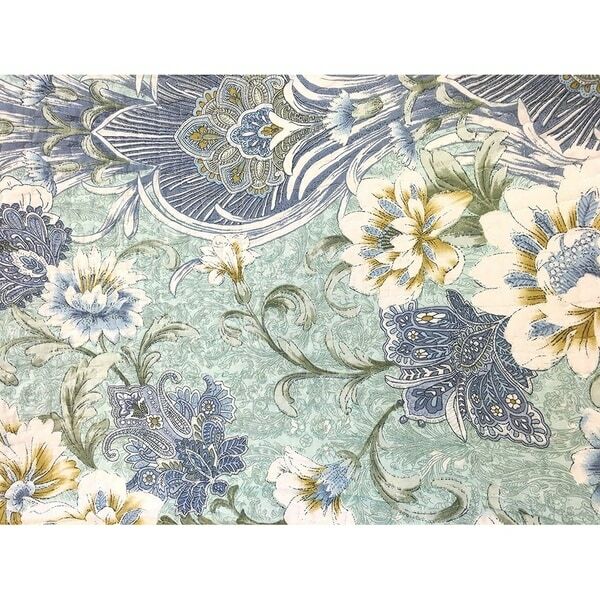 Porcelain botanical flourishes pattern print complete the look of this timeless classic. This is a second one I accidentally ordered. I will keep it as a spare. The color and print are lovely. It is classy and understated. The reverse side print nicely accents the main print and stands alone too. 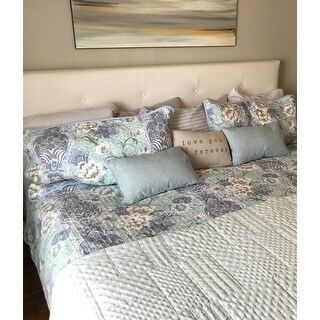 Such a pretty set of bedding to switch things up.....Loved what I already had but wanted something different to use for part of the year. My bedroom is painted a navy blue and this softens it along with my what bedroom furniture. Exactly what I expected and delivered quickly. Very nice colors and pattern. Pretty design but fabric isn’t impressive, looks cheap.